St. Louis Blues President of Hockey Operations and General Manager Doug Armstrong announced today the Blues have named Mike Van Ryn (RIGHN) an assistant coach. Darryl Sydor, who spent last season with the Blues as an assistant coach, hasstepped down in order to spend more time with his family. Van Ryn, 39, spent last season as the head coach of the American Hockey League’s (AHL) Tucson Roadrunners, where he led the club to the Pacific Division title after posting a regular season record of 42-20-6. Prior to serving as head coach of the Roadrunners, Van Ryn joined the Arizona Coyotes, the Roadrunners’ National Hockey League (NHL) affiliate, as the team’s development coach in August of 2016. Previously, he spent three seasons with the Ontario Hockey League’s (OHL) Kitchener Rangers, including 2015-16, when he guided the Rangers to a 44-17-7 record as head coach. 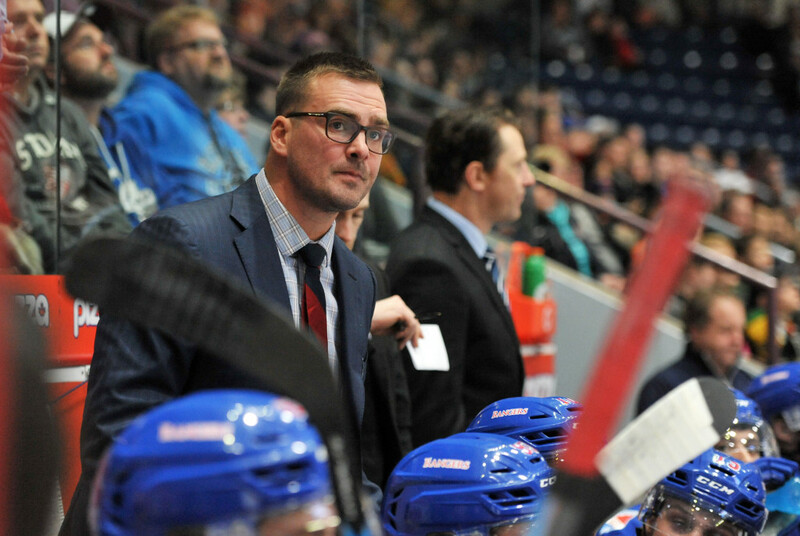 Van Ryn also spent two seasons as an assistant coach with the AHL’s Houston Aeros after beginning his coaching career as an assistant with the OHL’ s Niagara IceDogs in 2010-11. A native of London, Ontario, Van Ryn was drafted by the New Jersey Devils in the first round of the 1998 NHL Entry Draft. He went on to craft an eight-year NHL career, including his first three seasons in St. Louis. As a Blue, Van Ryn dressed in 69 regular season games, collecting 13 points. After St. Louis, he spent four seasons with the Florida Panthers before playing his final season with the Toronto Maple Leafs in 2008-09. Overall, Van Ryn appeared in 353 career NHL regular season games, amassing 129 points.